The saga continues. Actually, it more than continues—it just got renewed for another season and closed out with a massive cliffhanger. While Modern Warfare 3 is tentatively locked in for this November, you won’t have to wait that long to get a dose of Modern Warfare battle. The continued legal battles between Jason West and Vince Zampella (two of the founders of Infinity Ward) against Activision continue, as lawyers for the duo have released a new cross-complaint to the lawsuit. And if true, these may be the most damning charges yet. The new complaint claims that Activision not only breached the contracts of West and Zampella, they did so blatantly and for months, with plans of firing the two as soon as suited the company’s needs—something that would be tantamount to fraud. In the new filing, which can be read in full thanks to Kotaku, lawyers for the former Infinity Ward heads claim that Activision blatantly ignored the contract it had in place with the two, which specifically “promised that no game associated with the Modern Warfare brand could be released without West and Zampella’s written consent”. The filing further claims that this included any Call of Duty title that uses a post-Vietnam setting, and that Activision knowingly “began secret development of Modern Warfare and Call of Duty games and related products” that will be set in either modern times or possibly the future. The documents also claim that when Activision employees raised concerns, they were told to ignore West and Zampella altogether. The idea was that Kotick gave them what is called a “Memorandum of Understanding”, which West and Zampella inferred to mean that they would receive the same protection as other senior Activision executives, including Kotick himself. The suit claims that the duo were also led to believe that they would have the same autonomy that Blizzard, a company that is fully owned by Activision but operates independently, currently enjoys. The filing adds to the growing suit that could potentially grant West and Zampella a partial owner ship of all Modern Call of Duty games. 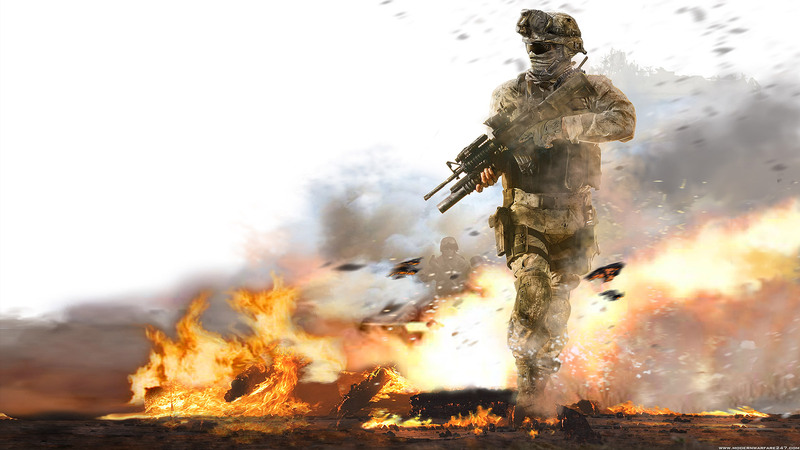 To recap the action the legal warfare, it began on March 1, 2010 when West and Zampella, then President and CEO respectively, were fired just two months after Call of Duty: Modern Warfare 2 reached the $1 billion sold mark. Activision claims that the pair were secretly negotiating with other companies, and guilty of “breach of contract and insubordination”. Both West and Zampella have claimed that this is a blatant lie, and the real reason for the firing was to avoid paying royalties owed to the pair, and to wrest control of the franchise from them. This launched the first of several lawsuits between the parties, as West and Zampella sued Activision on March 5 for a minimum of $36 million in unpaid royalties, with more sought in damages. Many assumed that West and Zampella had hoped for a quick settlement, but on April 11, Activision then countersued the pair, claiming that they had actively tried to damage the company by holding up development on other Call of Duty games in order to negotiate for more money on the titles they were working on. The next day, West and Zampella announced that they had joined up with Activision’s top rival, EA, and formed Respawn Entertainment. Activision immediately came back and said that the reason for the initial firing was that West and Zampella had always planned to take the Modern Warfare 2 royalties and form their own company, and this move was proof. West and Zampella (through their lawyers) claimed that this was ridiculous, and the pair took the best of several offers they received once they were free-agents. The firing and subsequent founding of Respawn then began a mass exodus of nearly 30 employees from Infinity Ward who then rejoined their old bosses. A group of those that left, as well as many who stayed at Activision or left to go to other companies, then filed their own lawsuit against Activision for $125 million, claiming that the publisher was illegally withholding bonuses. Things seemed to settle down for a bit, and in early November, Call of Duty: Black Ops was released to record breaking sales numbers. But then as December came to a close, Activision released the legal hounds, and filed an additional $400 million suit against EA for poaching its employees from Infinity Ward. And that brings us up to the newest filing. Fans of the series may have to wait until early November for the next Call of Duty game, but the legal warfare will begin on May 23 when the trial begins.